Cross-Faculty teams have been hard at work over the past months, planning our signature Dal 200th events: the Healthy Living, Healthy Life Conference (September 19 – 21) and the Shaun T Community Workout (September 22). The Healthy Living, Healthy Life conference will focus on the very latest in health research and practice. The event is designed to be strongly collaborative, showcasing a spectrum of leading-edge academic research, and the latest in community health innovation. The conference will provide many opportunities for partnership, and attract a wide range of participants — from researchers and policy makers, to health professionals and clinicians, community groups, students and more. The Shaun T Community Workout is expected to draw a thousand participations from Halifax and beyond for an inspiring community workout experience and motivational talk from the renowned health and fitness expert. This will be his first-ever visit to Nova Scotia, and the event is generating a buzz. The workout and motivational talk was launched in April on social media, and VIP tickets quickly sold out. General admission tickets are selling briskly, but many are still available for the event (see link below). One of the things Dr. Shaw is most excited about is seeing the community as well as academics come together to look at the best we have in health care, and then examine how it can be even better. “By bringing these two groups together, we can create an exciting platform for change going forward, and explore innovative measures towards a healthier life for all Canadians,” she says. As the largest national retailer of sporting goods, footwear and apparel in Canada, Sportchek has the tools to get people moving on the path to wellness. Their mission is to inspire every Canadian toward a fit, healthy and active lifestyle. Sport Chek believes that a healthy lifestyle can be adopted at any age, any level and within any activity. With this in mind, Sport Chek has joined forces with a number of organizations geared toward encouraging communities to be active. For more than 95 years, Canadian Tire Corporation (CTC) has been providing customers with everything they need for life in Canada. 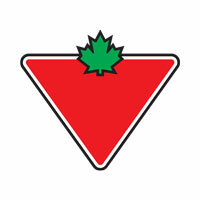 Canadian Tire's Jumpstart is a national charity with a commitment to local communities. It gives kids from families in financial need the same chance to participate in sports and physical activity programs as their neighbours, classmates and friends. Jumpstart has worked passionately since 2005 to remove financial barriers and help over 1.5 million kids get into sports and physical activity. Dalhousie’s Faculties of Medicine and Health feature world-class research environments comprised of teams of nationally and internationally acclaimed experts who perform outstanding medical research. At Dalhousie Medical Research Foundation, we are committed to bringing our innovation to the world-stage, and collaboration is key to this endeavour. Medical research is a powerful economic driver, creating jobs and promising business opportunities, while training the people and attracting the investment to build a thriving knowledge economy in the Maritimes. Imparting systemic change in the delivery of healthcare requires planning, collaboration, performance measures, and continued support from the public and private sectors. 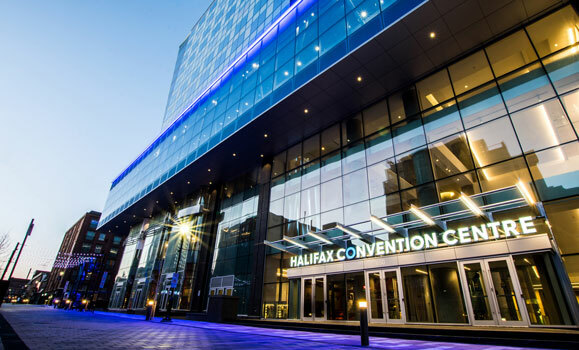 In honour of Dalhousie University’s Bicentennial Celebration, Lawtons Drugs are pleased to be a proud sponsor and partner of the Healthy Living Healthy Life Conference. Lawtons Drugs has been a partner in better health for Canadians for over 110 years, and long time partners of the Faculty of Health in the fields of Pharmacy, Occupational Therapy and Medicine. They are committed to supporting innovation and research in the transformation of health, and delivering health and wellness solutions that will empower Canadians to make healthier lifestyle choices to live better for years to come. OptiMYz is the whole magazine for the whole woman. OptiMYz is the leading Canadian-owned, female-focused health, fitness and lifestyle media—providing the latest in health research, practical fitness guides, nutritional advice and more. OptiMYz magazine is sold on thousands of newsstands across the country as well as being available online. 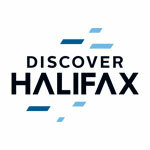 We’d also like to thank Discover Halifax for providing marketing support for our event, including featuring the Healthy Living, Healthy Life Conference on their Delegate Website.